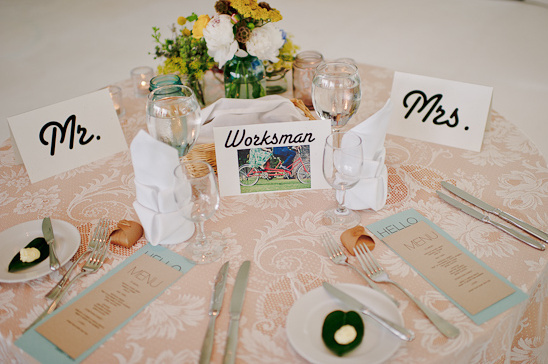 First off, how incredibly clever is that altar? 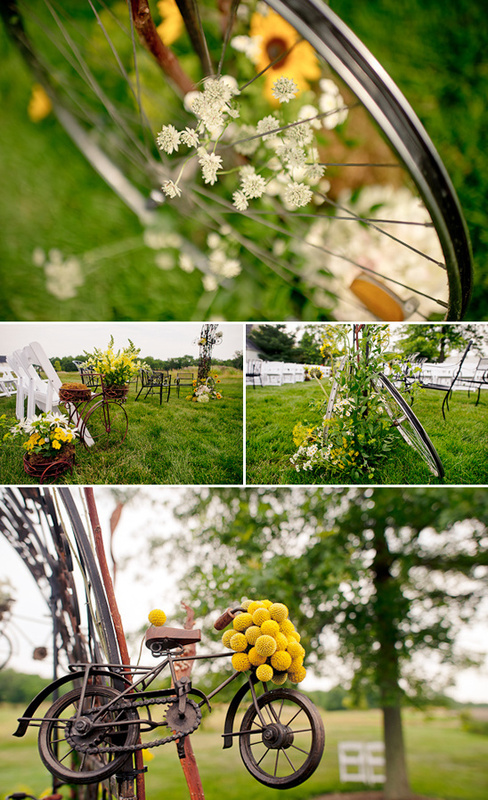 Random vintage bicycles hanging everywhere make this altar one for the books. 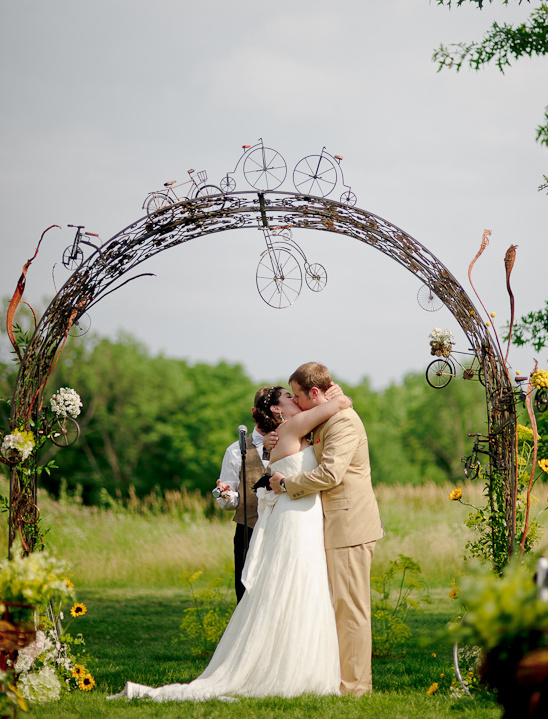 From the altar you can tell that cycling plays a major role in Sarah and Jason's day-to-day lives so it only made sense for them to have a bicycle wedding theme. 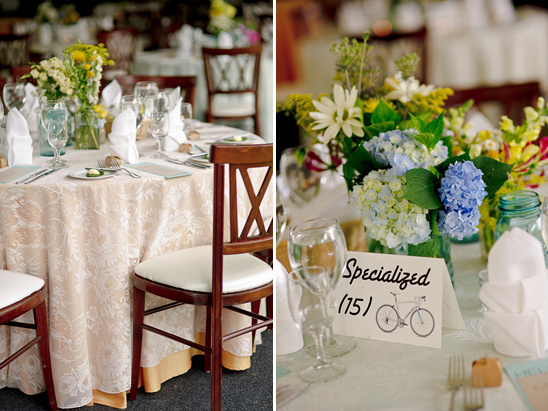 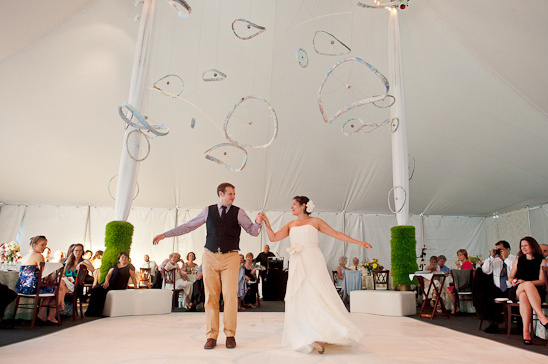 The bicycle theme is carried throughout the wedding. 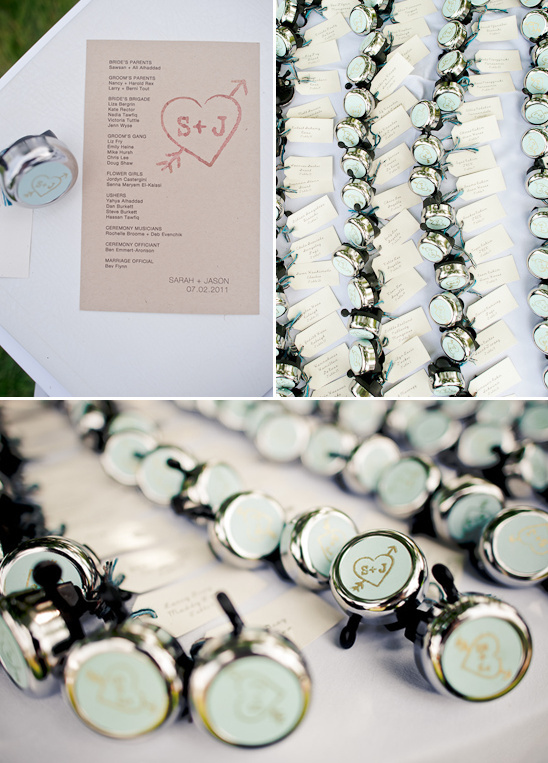 One of our favorite elements of this wedding is that each guest was given a bike bell as a wedding favor. 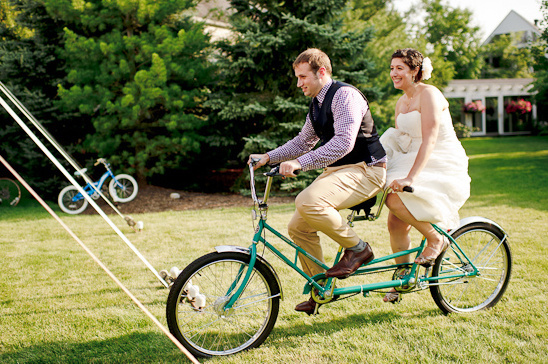 We adore a bicycle wedding theme so much that we have some free printable bicycle wedding invitations that you can download here. 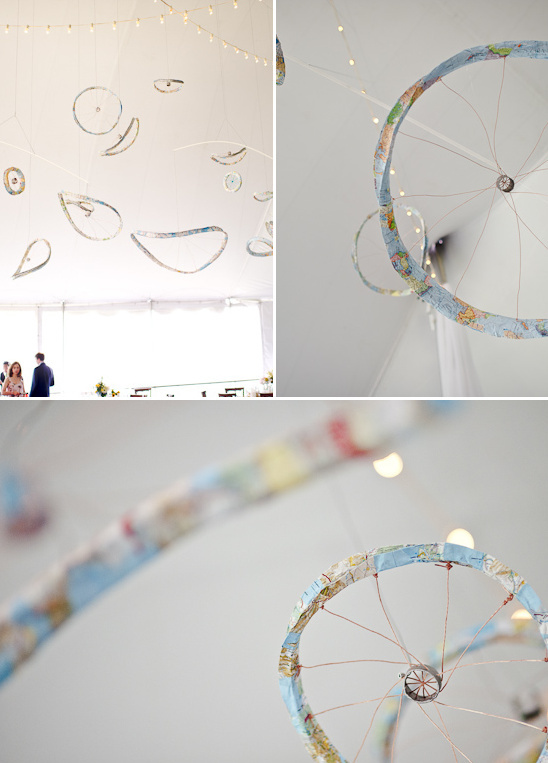 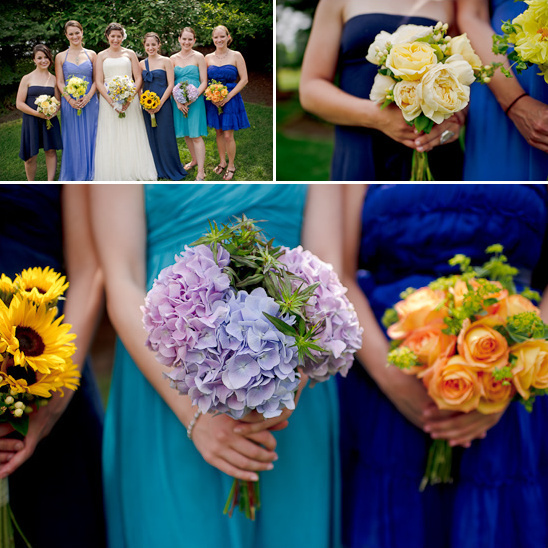 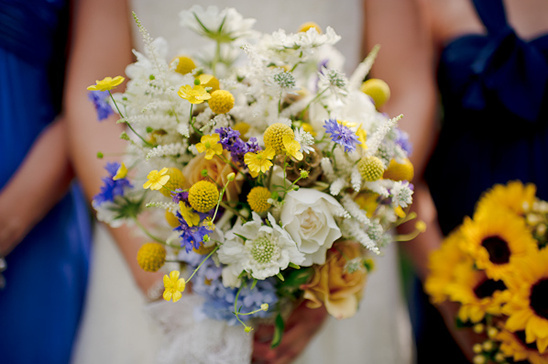 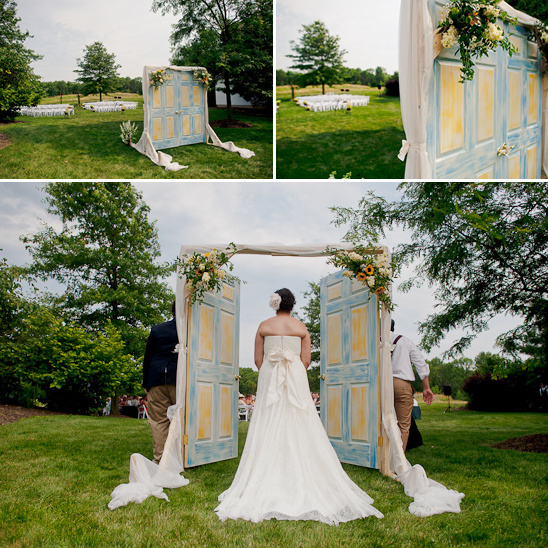 Be sure to read more from the bride and see more bicycle wedding ideas from Emily Porter Photography by visiting the full gallery and clicking here.